Semi-Automatic Vacuum Pick-up conveniently lifts the component upon re-flow of solder during de-soldering of SMT components. 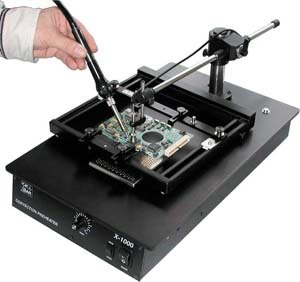 Semi automatic pick up prevents unnecessary heating of the solder connections and the parts on the board when solder is already molten. This System increases efficiency and reliability of rework. 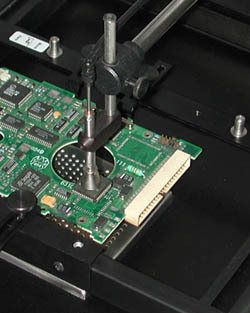 When used with SMT-ServiCE the XCP-01 is connected to the vacuum pick-up source of these units. If the unit is intended to work with other system than SMT-ServiCE the external vacuum source is required. 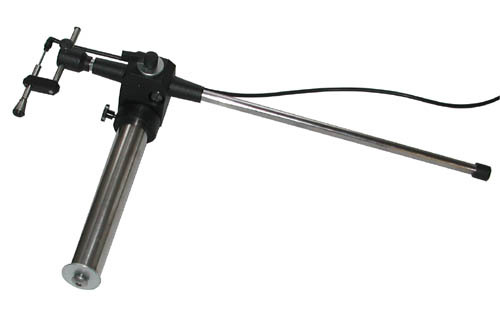 X-KAR units such as XVP-200, XVP-100, XVB-1 are a good choice. One can also use other manufacturers vacuum units working quietly and providing vacuum of 200mmHg or more.